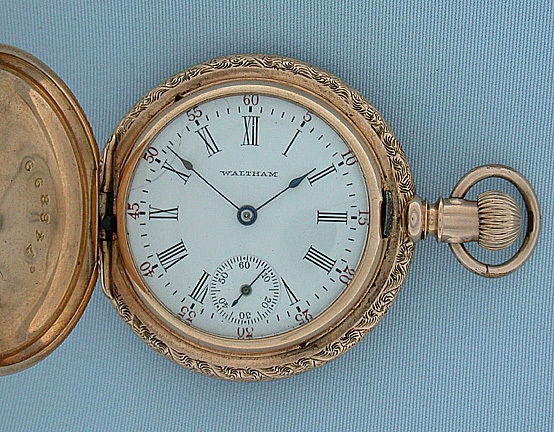 Attractive Waltham 14K gold, enamel and diamond ladies antique pendant watch circa 1890. 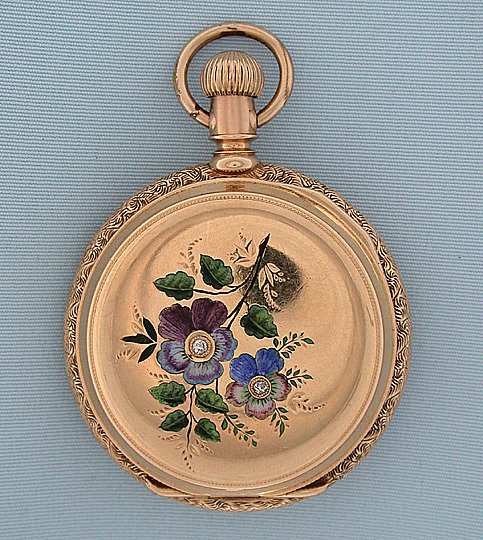 The cover with flowers and foliage in enamel heightened with diamonds. White enamel dial (hairline) with black and red numbers and blued steel hands. 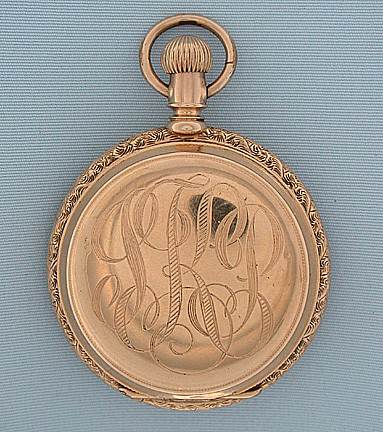 Faided spotty gilt 3/0 size 11 jewel movement #5,438,156. Lovely.